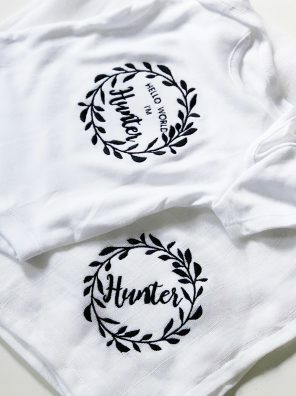 Baby shower, christening, or just looking for an extra-special way to welcome a new baby into the world? Well, whatever the reason, our beautiful monochrome wreath gift set is perfect for every little one. 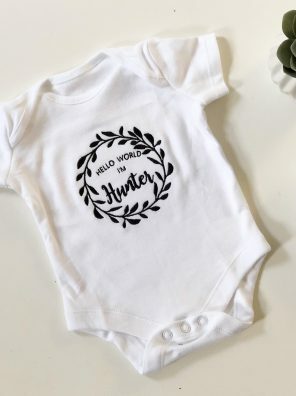 Looking for the perfect newborn gift? Or simply searching for that special something for your little one? 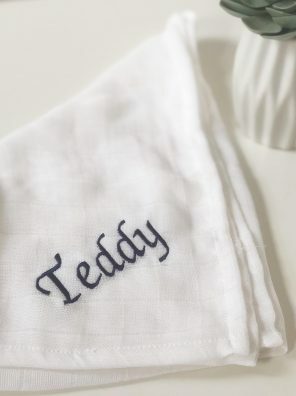 Our personalised muslin cloths are a great way to welcome a new arrival into the world. Use for swaddling, feeding or just as a comforter, whatever your use, your little one will love it.